With funding from the National Heritage Lottery, Gearbox Records has acquired, restored and will eventually distribute a collection of recordings made by Les Tompkins in London during the jazz heyday of the 1960s. By the end of the year, there will be a digital archive available of all 242 recordings as well as 20 hand-chosen recordings produced on vinyl. Twenty sets of these vinyl records will then be distributed to venues such as The British Library in London and music institutions across the country so that they can be listened to in true vinyl style - with the needle drop. The launch event was a chance for us to not only hear some of the restored recordings but to then also hear them reproduced – and somewhat reinvented – by a group of young musicians from Tomorrow’s Warriors. 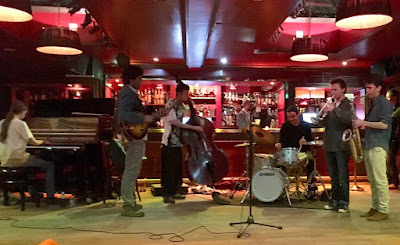 All this with some free tastings courtesy of Nikka Whisky in the style of the Japanese jazz kissas (cafes). What’s not to love...? Darrel Sheinman, the owner of Gearbox Records, gave an introductory speech - once we’d all been allowed ample time to decide which whisky we preferred - on the process and immense cultural and heritage value of this project. You can tell it’s been a real labour of love intended for all to enjoy and remember, not least the younger generation of musicians as, with these archives, “…the past becomes available in the present”. - Roland Kirk’s take on Duke Ellington’s ‘Angelica’ also recorded at Gerrard Street on 15th October 1963. Just before they started, Darrel jumped back on the microphone and warned us “…not to expect modern-quality recordings – these are still vinyl, even though they’ve been restored”. He needn’t have worried: that was exactly why we were all interested. The sound quality was beautifully, decadently, unapologetically vinyl yet somehow clear and crisp enough that you didn’t miss a single note. I for one can’t wait to hear the rest of them. 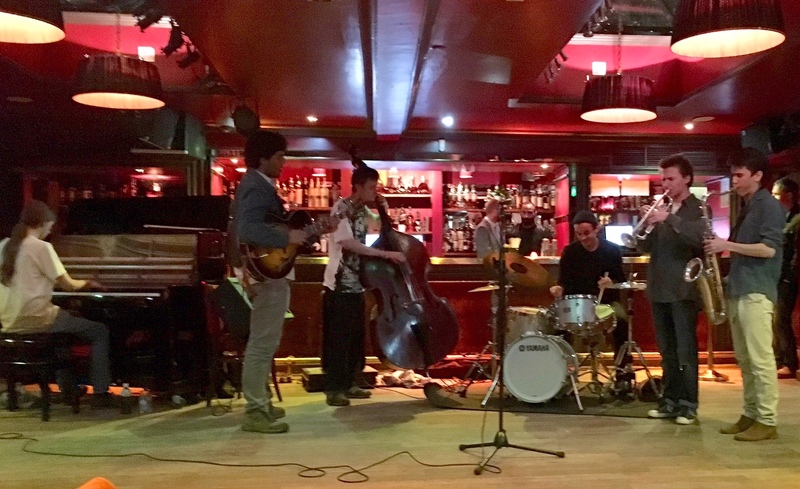 The Tomorrow’s Warriors musicians performing were Will Wood tenor sax, Laurence Wilkins trumpet, Tom Remon guitar, Jonah Grimbly piano, Hamish Moore double bass and Sam Jones drums.